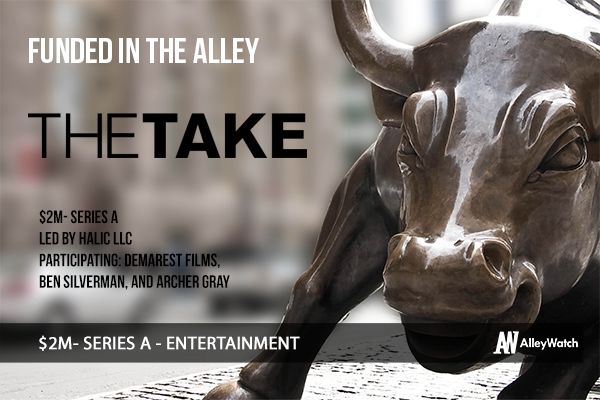 TheTake is all about giving you instant access to the products and locations in the movies you love. Whether it’s the moment you see a beautiful necklace on screen or days later, when you’re thinking back on how awesome that jacket in Need For Speed was, TheTake is your source for identifying and buying that item. And it goes beyond just physical products. If you’ve ever wondered where that café from Inception is, know you’ll know got you covered- on mobile, web and Google Glass. Founder Columbia alum Tyler Cooper tells us more about this company that won “Crowd Favorite” at the Launch Festival – and just raised their $2 million Series A round. Who were your investors and who led the round? Halic LLC led the round. Other notable / strategic participants include Demarest Films, Ben Silverman, and Archer Gray. It was a learning experience, but also a lot of fun. It all happened really rapidly following our debut at Launch Fest in February. We recognized a lead within a few weeks of Launch and had a lot of additional inbound interest in the round. We also had the fortune of getting some great advice from Columbia’s entrepreneurial community along the way, specifically from guys like Dave Lerner, Amol Sarva and Ryan Armbrust. They were really helpful as I worked to get my bearings during the process. Staying focused. Raising your first round takes a lot of time and effort, but it is incredibly important to remain focused on your business, products and team. Otherwise, people aren’t going to be happy with what they invest in! It was all about the team and our traction to date. I have incredibly talented technical co-founders and we have some very cool product releases in the pipeline. Our investors saw that really quickly and have a lot of faith in our ability to execute. Winning “crowd favorite” at Launch Fest didn’t hurt either. Keep grinding and don’t try to do too many things at once. There’s some saying about chasing two rabbits… You get the idea. Take on a niche market and dominate it. Our next major milestone will be the release of our mobile app. We are really excited to get that in people’s hands! We are also working on some really cool initiatives with the major film studios that will follow the app release. What’s your favorite movie that was set in NYC?